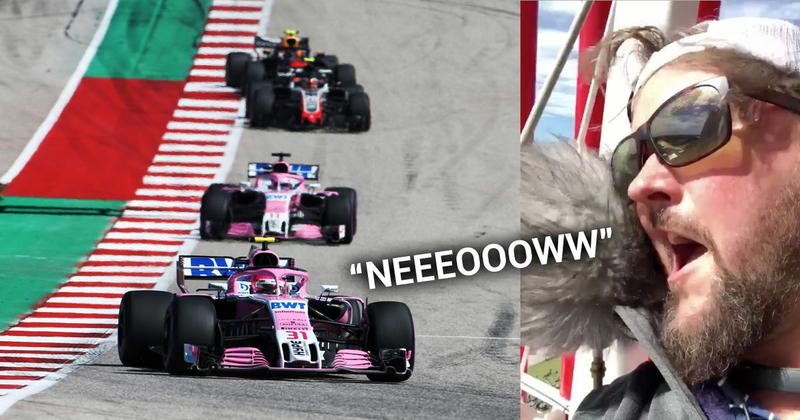 You couldn’t fail to laugh during the US GP a couple of weeks ago when the world feed not only delivered the usual sounds of Formula 1 cars but a flawless impression of what F1 cars sound like. It only lasted for a few seconds and it was utterly hilarious, in much the same way as the epic battle of the Lastname brothers did in Melbourne. But the ‘Neows’… where were they coming from? Who was doing it? Brilliant. It’s surprising the TV microphones are so easily accessible, though, and it makes you wonder whether we’ll end up with more fans adding freestyle sound effects to broadcasts in future. Mind you, if Neow Guy is anything to go by, that wouldn’t necessarily be a bad thing!